The tones ring out; the floor begins to hum. Your body’s limp and everything feels numb. You drink to make the memories disappear. Before they re-emerge in waking sleep. The damage dealt cannot be left behind. You sit there, gently trembling in your cage. The answer is not at the bottom of a glass (Photo Credit: Vivatier). This is a pantoum inspired by recent research, which observed that for mice suffering from induced Post-Traumatic Stress Disorder (PTSD), alcohol strengthened the emotional memories associated with any fearful experiences, preventing the mice from moving beyond their fears. Approximately 8 % of the population will suffer from PTSD at some point in their lives, and research has shown that of these people 60-80% of them will experience drinking excessively as a self-medicated means of coping. However, this recent research has shown that in mice alcohol actual strengthens the negative emotional memories associated with a traumatic experience, making it more difficult for the mice to cope with the trauma. This research was carried out by placing mice in a cage with an electrified floor, which gave the mice a shock when a specific tone was played – this “fear training” provided the trauma from which to study PTSD in the mice. The next day some of the mice were given water and some of them were given water mixed with ethanol, before they were placed back in the cage with the electrified floor. The tones were played again, but this time without the shock, and it was found that the mice who had drunk the alcohol mixture showed more “freezing” behaviour when hearing the tones, than those who had only drunk water. 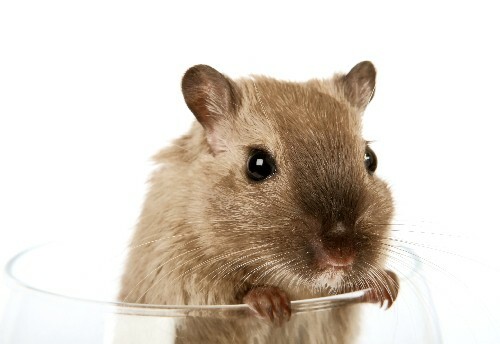 This would suggest that the alcohol affected the ability of the mice to let go of fearful memories. More research is needed to see if this effect is also observed in humans. yesterday I was chairman in a defense committee of a PhD student working with gene manipulated mice (Klotho knock out), developing a hunchback, osteoporosis, skin problems, arthritis etc….., and mercily experiencing early death. I cannot say that I liked this. Your poem is good but quite depressing. Maybe a strange thing to say for a zoologist but I like mice. I have to admit that I agree entirely with you. I found the concept of this research quite upsetting, although the PhD that you describe sounds beyond grotesque and what is necessary for medical research (in my humble opinion).